For many of the roughly 300 million people around the world with rare diseases, the road to diagnosis can be long, painful, expensive, and disheartening. Around eighty percent of very infrequently seen undiagnosed diseases are estimated to have a genetic basis, but even with modern DNA sequencing techniques, the causes are often unclear. In these cases, clinicians and their basic scientist collaborators are increasingly turning to laboratory models like fruit flies and zebrafish to help diagnose disease—and gain clues about how to treat it. The teamwork between clinicians and model organism researchers goes both ways: clinicians can find candidate genes in patients to test in model organisms, or basic scientists can identify candidate disease genes through research on their organism of choice. In a review appearing in the September issue of GENETICS, Wangler et al. 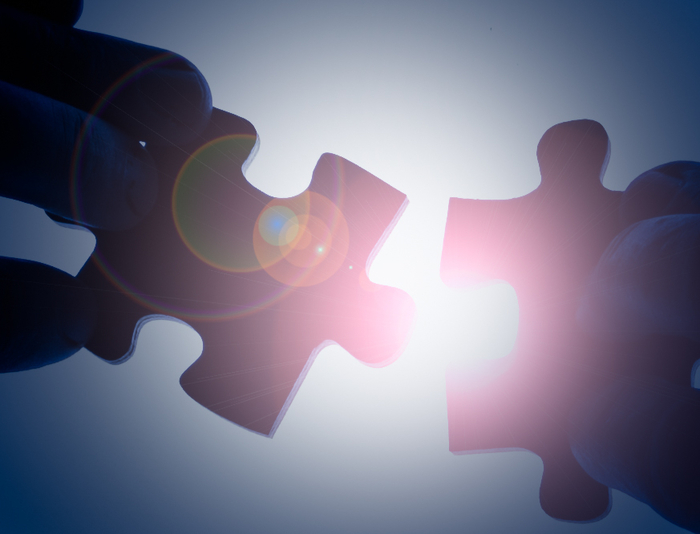 describe numerous tools clinicians and basic scientists have at hand to help them work together on puzzling rare diseases. One such tool is GeneMatcher, a website that connects researchers who may be separately investigating the same genes. Using GeneMatcher, clinicians can find potential collaborators working on model organisms. Another mechanism that connects clinicians with model organism researchers is the Canadian Rare Diseases Models and Mechanisms Network (RDMM). Via the RDMM, a clinician can submit a proposal to work with a model organism researcher—or vice versa. Uniquely, they can also use the tool to apply for quick-turnaround grants to fund their investigations of potential disease-causing variants. Patients themselves can also contribute to this research. People with rare diseases that have resisted diagnosis by any other means can apply to the Undiagnosed Diseases Program (UDP) to spur investigations of their conditions. Not only have patients been diagnosed using the UDP’s combination of detailed clinical investigation and genetic analysis, but new disease genes have also been discovered. For example, mutations in the gene NT5E were found to cause a rare arterial calcification disorder—and as an unexpected bonus, this finding hinted that adenosine metabolism might be linked to more common vascular disorders as well. The UDP has now been expanded into the Undiagnosed Diseases Network (UDN), a decentralized program involving researchers at several institutions. Using the UDN, a patient is first screened to see if their disease matches a known genetic condition after an extensive phenotypic work-up and sequencing of the whole genome or exome. If not, clinical findings and candidate genetic variants are sent to the Model Organisms Screening Center (MOSC). The MOSC starts by searching databases of known information about the candidate variants to determine which are worth testing in model organisms. The MOSC then looks for other individuals with similar clinical presentations and possible genetic causes. Once the list of candidate genes is narrowed down, the MOSC researchers design experiments in flies or zebrafish to acquire more knowledge. The MOSC teams aim to match the variant in the human patient’s gene in the model organism. The goal is to learn more about the function of the gene, to determine whether the gene variant found in the patient is the likely cause of the disease, and to understand how the variant may cause problems. Wangler et al. conclude by endorsing the continued support of these tools by government agencies such as the National Institutes of Health. Only with this financial backing, they say, will crucial improvements in the diagnosis and treatment of rare genetic diseases be possible. And since our understanding of rare diseases often drives discoveries about more common diseases, this research could even have more far-reaching impacts. Wangler, M.; Yamamoto, S.; Chao, H.; Posey, J.; Westerfield, M.; Postlethwait, J.; Members of the Undiagnosed Diseases Network (UDN); Hieter, P.; Boycott, K.; Campeau, P.; Bellen, H. Model Organisms Facilitate Rare Disease Diagnosis and Therapeutic Research.